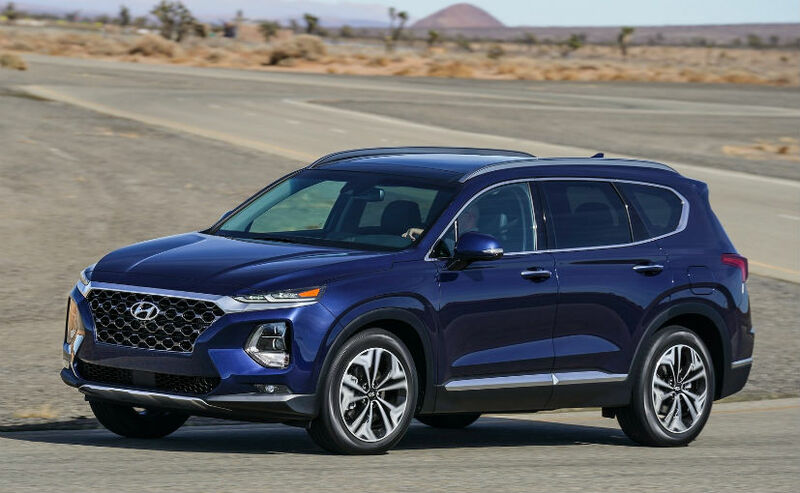 Hyundai Motor America unveiled the all-new Santa Fe SUV for the US market at the 2018 New York International Auto Show. 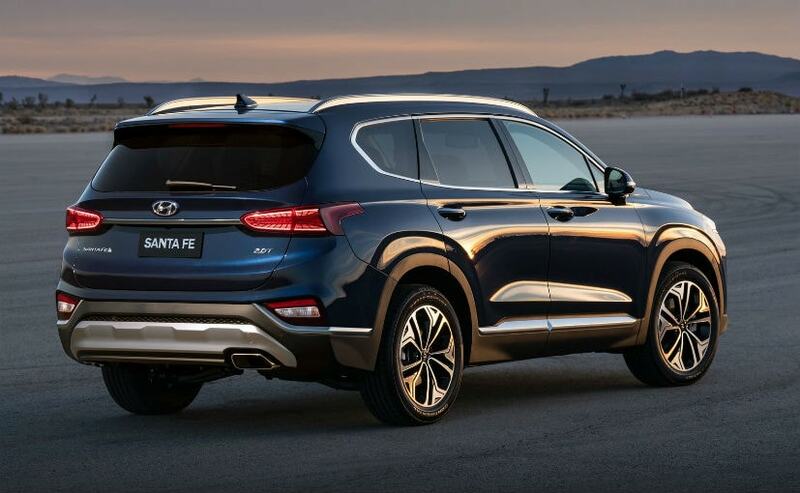 With sales of more than 1.5 million units, the Santa Fe is Hyundai's most successful product in the US. To go on sale this summer, the fourth generation Santa Fe comes loaded with latest technologies and bold exterior looks. The new Santa Fe will come in both diesel and petrol versions, and will also be available in two trims- a five-seater and a seven-seater version. Up front, the all new Hyundai Santa Fe gets Hyundai's signature cascading grille and a composite light design with LED DRLs positioned on top of the LED headlights. In profile, Santa Fe features a dynamic character line that goes all the way from the headlights to the taillights and a larger daylight opening (DLO) with a satin surround. The rear end of the SUV is now more muscular and gains height and taut shape, courtesy 19-inch diamond-cut wheels. 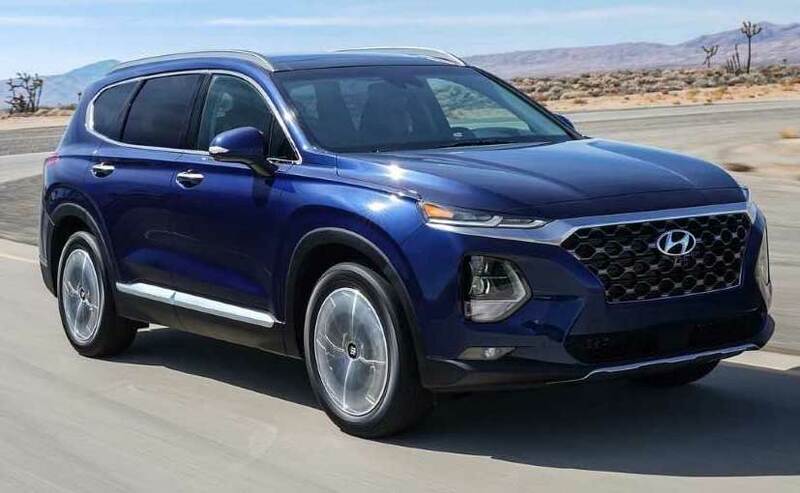 The new Hyundai Santa Fe has grown in size, giving the vehicle even more presence. With a length of 4749mm, a width of 1879mm and a longer wheelbase, it also provides more comfort for passengers than its predecessor. 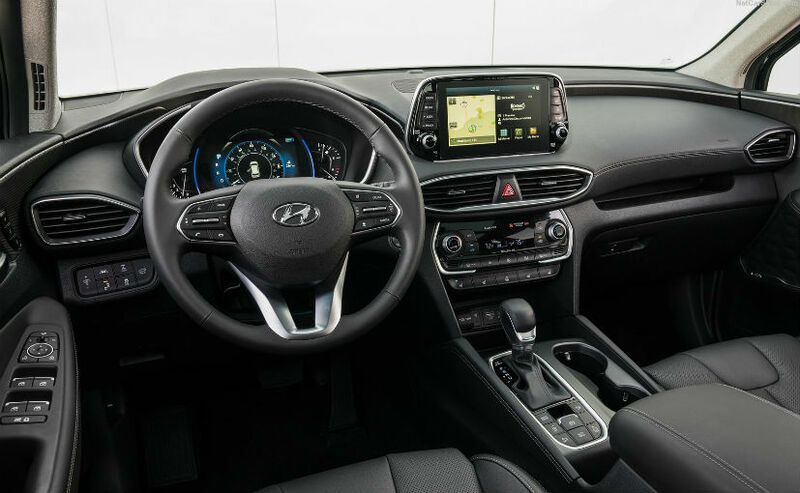 On the inside, the Santa Fe features premium touches such as layered, three-dimensional instrument panel, contrasting seat stitching, the large DLO and repositioned cup holders that makes it more accessible. Moreover, the navigation system screen has been tilted and positioned to reduce glare, while the window switches and grab handles have been moved forward for more elbow room. The door map pockets have been reduced in size for more legroom. The 2018 Hyundai Santa Fe is loaded with technology, including Hyundai's latest AVN 5.0 navigation system with Android Auto and Apple CarPlay offered with higher level trims. The base level trim gets a standard 7-inch user interface, also equipped with Android Auto and Apple CarPlay. And to eliminate the need for a charging cord, there's an available Qi wireless charging pad for compatible Android devices, as well as Apple iPhone 8 and iPhone X. The 640-watt, 12-speaker new Infinity branded stereo system with an 11-channel amplifier features Clari-Fi and QuantumLogic Surround Sound technology. The all new Hyundai Santa Fe line-up offers a choice of three powertrains. 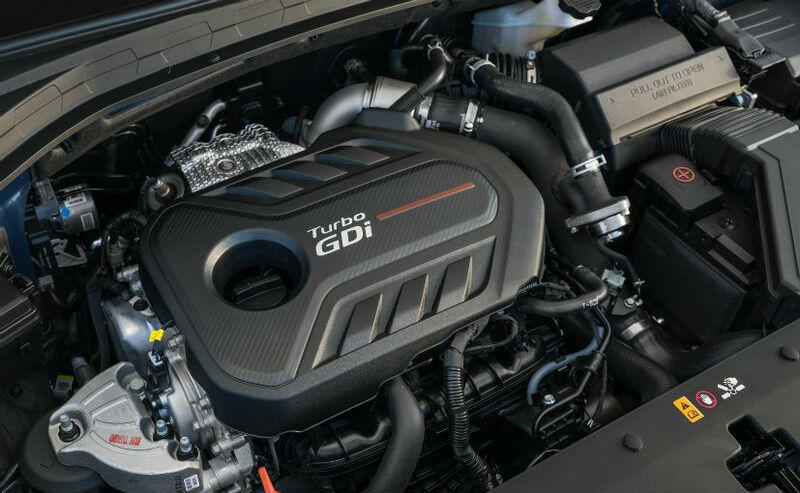 There is a 2.4-litre inline four-cylinder GDI engine with 185 bhp or a more powerful, turbocharged 2.0-litre four-cylinder engine with 235 bhp. And a new 2.2-litre CRDi turbodiesel engine with 190 bhp at 3,800 rpm and 436NM of torque. All engines are mated to a new 8-Speed automatic transmission.